There were a million Canangsari husks down at the beach last night, contents spilling out into tide pools, ruined flowers, smoldering incense, and candy wrappers blowing in the humid breeze. These offerings are everywhere, on bridges, at the openings of small roads, in front of businesses, always laden with colorful tidbits for hungry spirits. A woman in a small market staples the small woven trays together, dogs sniff out the better morsels, one skitters into the street after being accidentally kicked by a tourist. There were even more of them yesterday, after a pre-New Year cleansing ritual on the beach, stacks and stacks of offerings covering the black sand. The small flat we are renting is heaving with ants. An ant just climbed out from between the F and G keys on my computer and is scrambling toward the screen to meet with three others that are drawn to the glow. I don’t really mind, they’re tiny and they don’t bite, but I wish one of the geckos would eat them. I’m in Bali to write–I’m putting together articles and catching up with work that was put aside while I was finishing the thesis. We go out to get fruit from the little market down the road and scoot to the beach to watch the sun go down. 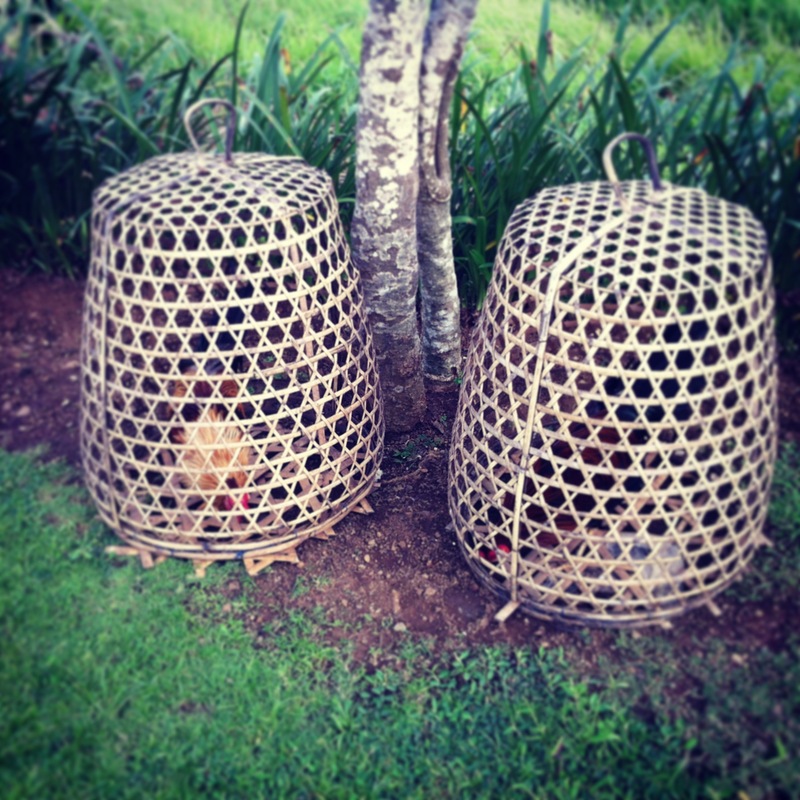 Baskets covering Balinese fighting roosters, kept aggressive and ready. 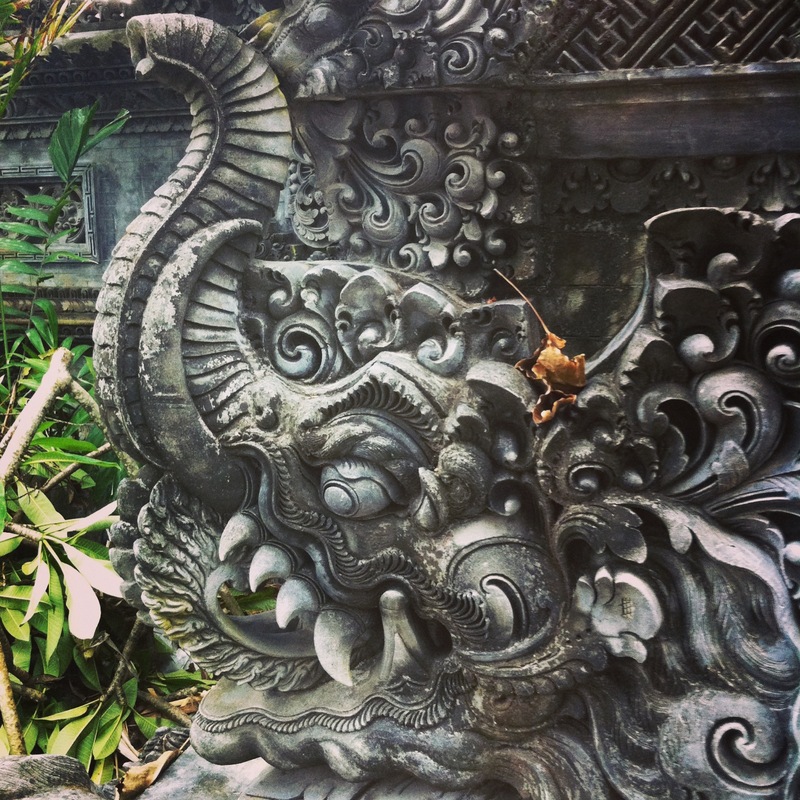 The anthropological landscape of Bali is covered in large footprints, hidden deadfalls and the echos of heated argument in venerable academic halls. 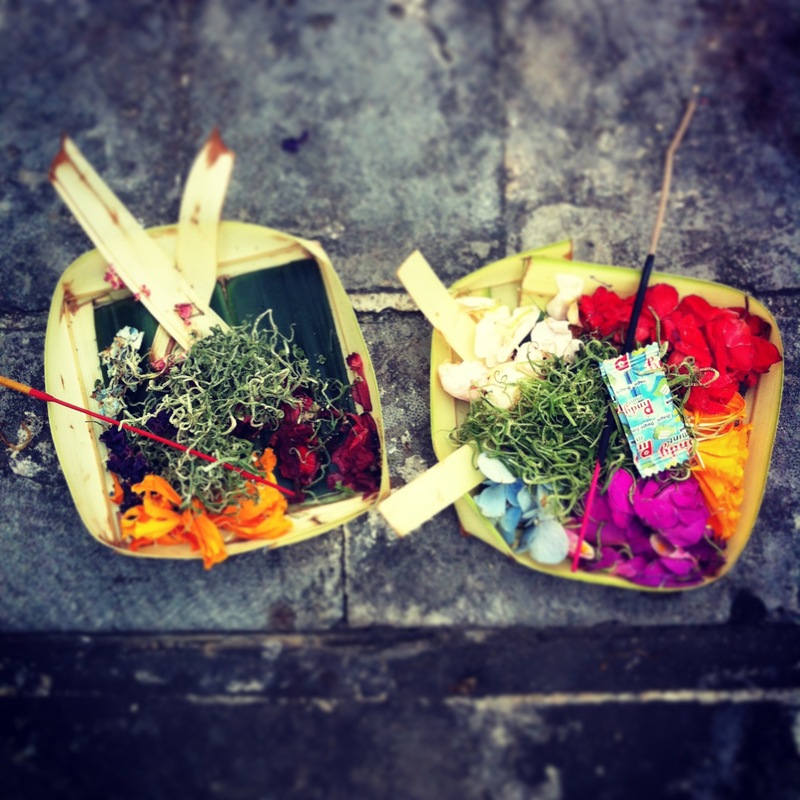 I sometimes want to go to the market and buy the canangsari to leave offerings to the hundreds (thousands?) of anthropologists who have studied here. Flowers for Clifford Geertz, Ritz crackers for Margaret Mead, betel nuts for Gregory Bateson. I’m a guest here, and I have my own research to write up, but it is hard to avoid a good haunting from the ghosts of anthropologists past (and present! ).